The iconic Coke sign, watching over The Cross for 40 years. How well do you know this famous Sydney area? In 1837, the junction of Victoria St, Darlinghurst Rd, William St and Upper William St was called Queens Cross. In honour of the Jubilee Queen Victoria and the shape of the junction. City Council changed the name to Kings Cross in 1905. This was to avoid confusion with Queens Place (Queens Square) near Hyde Park, and to recognize the change in Monarch. By the 1820s, the Ridgeline that extended from South Head Rd (now Oxford St) north towards the harbour, was lined with Windmills. In 1926 a quarter of the flats built in Sydney were in Kings Cross. These were six-eight stories high, and used the ‘new’ technology of ‘lifts’. Between the 1920s and 1940s, Kings Cross led the way for a modern lifestyle in Sydney. This was not only for the apartment style living, but also for food, entertainment, and liberal attitude to life and living. The El Amamein Fountain at the entrance to Fitzroy Gardens, is WW11 memorial. It commemorates the Battle of El Alamein, in Egypt. Dedicated to the Australian Imperial Forces 9th Division. Its design is based on a dandelion. After 40 years as the icon of The Cross, the infamous Coca-Cola sign was taken down in 2015. It’s letters auctioned off to raise money for The Wayside Chapel. The letters managed to raise $100,700. 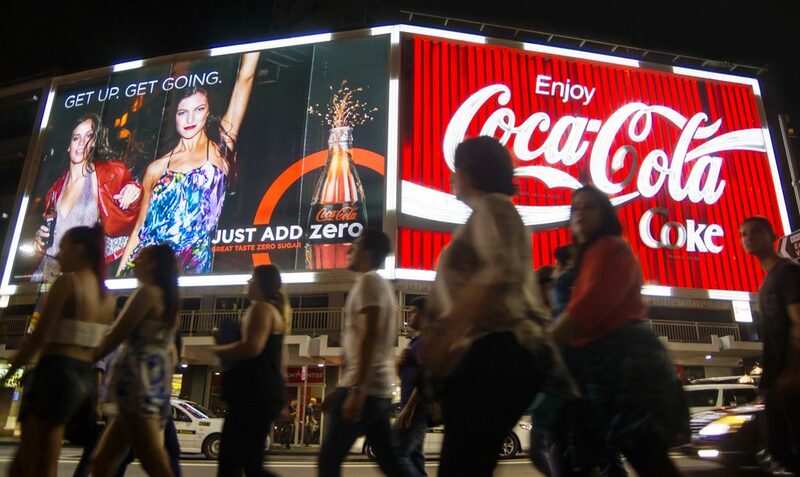 The sign is now the largest controlled LED light fixture in the Southern Hemisphere. It’s not actually an official suburb of Sydney. It refers to the junction talked about in the first point. Much of what people talk about as ‘The Cross’ is part of Darlinghurst, Potts Point or Elizabeth Bay. From the late 1930s, for about 40 years, people would see in the new year amongst the area’s cabaret halls, nightclubs and other venues. Until the focus shifted to the Harbour bridge. An increasing number of bars and strip clubs opened to cater for the soldiers, disembarking at nearby Garden Island.